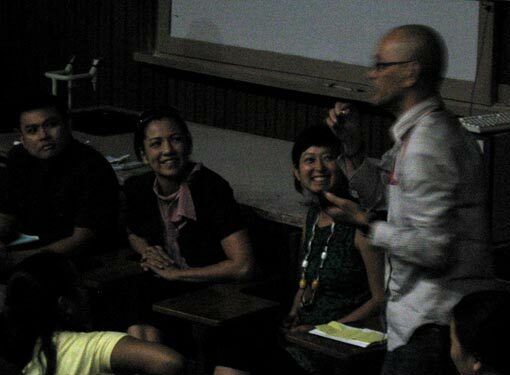 Ateneo de Manila University hosted another roundtable discussion on “Old Routes, New Exchanges: Building a Transnational Dialogue in Arts-Making, Arts-Exchange, and Critical Discourse”. 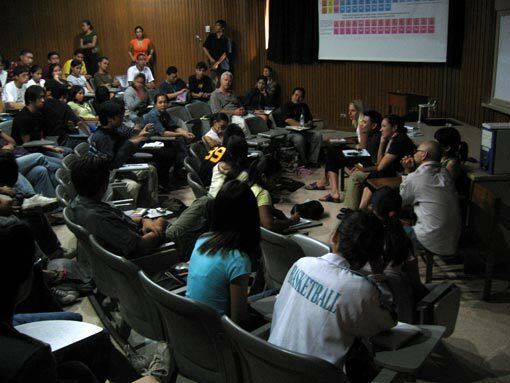 This event was presented by the “Kritika Kultura” lecture series, the Department of English, and the Ateneo Fine Arts Program, and organized by Lucy Burns and Oscar Campomanes. Opening remarks were given by Professor Mary Thomas of the Department of English, introductions were made by professor Oscar Campomanes, also of the Department of English. 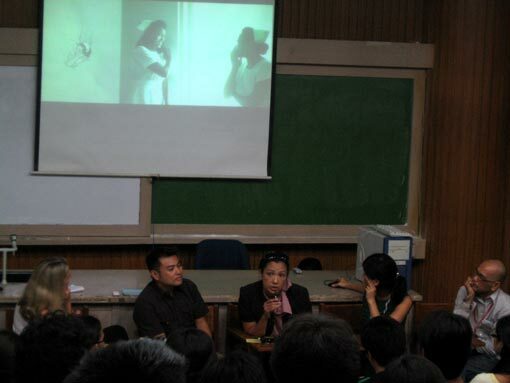 The discussion was moderated by Miguel Lizada, assistant managing editor of Kritika Kultura, and closing remarks were presented by Dr Jovino Miroy, OIC of the Fine Arts Program. 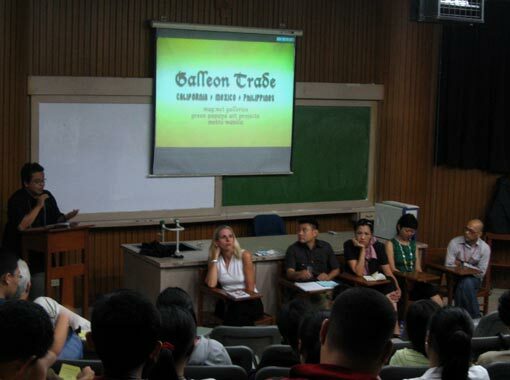 Participants in the roundtable discussion were Jenifer Wofford, Galleon Trade’s organizer, Professor Eric Reyes, scholar-participant from Cal State Fullerton, Norberto Peewee Roldan, director of Green Papaya Art Projects, Johanna Poethig, Galleon Trade artist, and Stephanie Syjuco, Galleon Trade artist. This entry was posted on Monday, July 30th, 2007 at 2:52 am	and is filed under News. You can follow any responses to this entry through the RSS 2.0 feed. Responses are currently closed, but you can trackback from your own site.